NMADILI OKWUMABUA is an urban planner and African architecture historian. Her passion for design is rooted in a vision where homes and communities in modern Africa are developed with a new architectural language that celebrates the aesthetics and culture of her people today. In 2005, she founded Southern Sahara USA, a design consultancy service specializing in the research and development of this new architecture, which she promotes through exhibitions and lectures. Nmadili Okwumabua attended the University of Tennessee and Georgia State University, where she pursued her undergraduate studies in architecture and urban planning. She is a licensed Realtor in the state of Georgia and Certified Property Manager with Broll CBRE South Africa. She holds a masters degree in African Studies from Clark Atlanta University, where her research centred on the evolution of modern vernacular architecture, by Nigeria’s premiere designer and master builder, Demas Nwoko. The fruits of these efforts gave birth in 2013 to the Community Planning & Design Initiative, Africa, (CPDI Africa), a research-based, culture-inspired initiative created to develop this new architectural language for Africa though design competition. 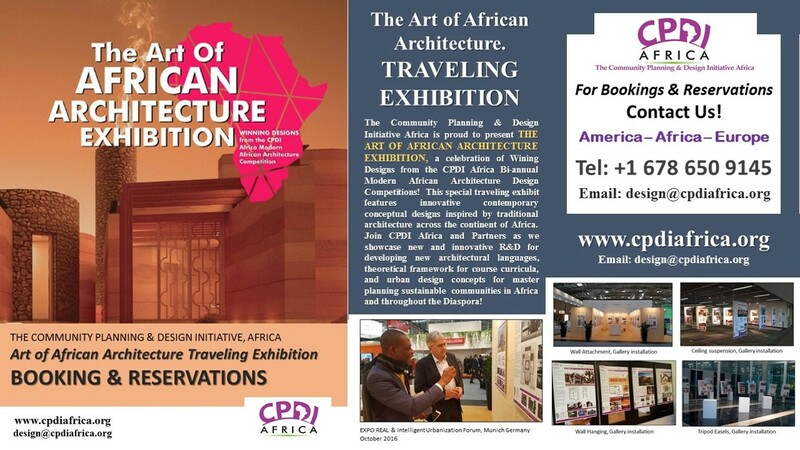 Believing that the redevelopment of Africa’s built environment should be as it has always been, built as a collaborative effort between the community members and designated master builders, CDPI Africa engages participation from the design community in Africa and the Diaspora at large, for the accomplishment of its vision. Ms. Okwumabua lives in Atlanta Georgia and Abuja Nigeria, where she offers international consultancy services in urban design and real estate asset management, and shares her vision with the futures shapers of Africa built environment.